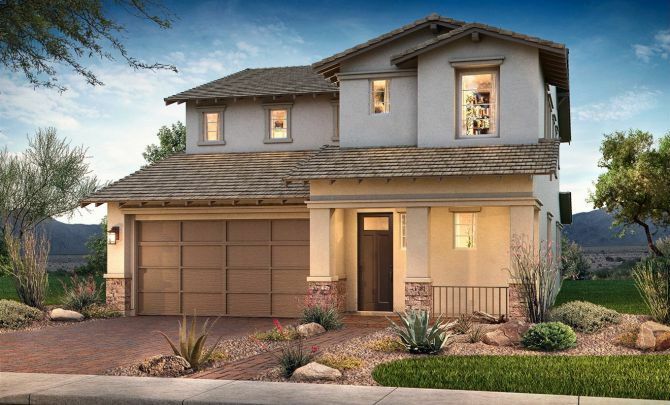 Conveniently situated a short half-mile from the San Tan/Loop 202 Freeway in Gilbert, Arizona and tucked into a lovely neighborhood, Ambition at Recker Pointe is truly an ideal location for your new home. This vibrant and growing community is close to excellent shopping, dining, and entertainment at the SanTan Village Marketplace and the Heritage District in downtown Gilbert, as well as several schools and multiple outdoor recreation opportunities. Community amenities include large parks, playgrounds, BBQs, basketball courts, and a beautiful pool. Starring elaborate gourmet kitchens, premium finishes, and other high-end features, the exceptional residences at Ambition at Recker Pointe offer our award-winning, revolutionary Shea3D® concept, which allows the ultimate flexibility to personalize your home to your unique lifestyle.